Automotive safety. Whether you are a single commuter, or a parent seeking a new vehicle for your family – safety is everything. There is nothing more important than protecting yourself and your loved ones as you go about your daily routine. From driving the kids to school, to heading out for the day to make an honest living, you expect that your car has the basic ability to protect in you in the event that something goes wrong. Today, automotive safety is more revered and innovative than ever before. It’s crazy to think that the most basic safety technology wasn’t even put into law until 1968, when the United States government required that all passenger vehicles, with the exception of buses, were to be fitted with seat belts. Today, not only do we expect our cars to be outfitted with seat belts, but also a slew of other important safety tech aimed at keeping our most precious cargo safe while on the roadways. Back in August 2013, the Tesla Model S emerged not only as a futuristic all-electric car offering, but also a vehicle that earned the title of safest on the road. The National Highway Traffic Safety Administration awarded the new Tesla Model S with the highest possible rating, setting an unprecedented safety score record. A massive win for the Silicon Valley’s latest automotive manufacturer/tech company, the Model S earned an unheard of 5.4 out of 5 stars. The score was bestowed upon the new sedan by the government safety institution, which tested every major make and model approved for sale in the United States. Not only did the Model S easily exceed the safety standards of all other sedans on the road, it also managed to beat out SUVs, minivans, pickup trucks, and crossovers. The unusually generous safety score for the 2013 Model S was in due in part to the fact that the sedan did not have a bulky gasoline engine under the hood, which left more room for a generous crumple zone that could absorb a high speed impact. Rather, the “motor” on the Model S is less than a foot in diameter, and placed close to the rear axle, leaving added “trunk space” where the missing front engine would normally be. In the rear of the sedan, Tesla installed a double bumper on models, which included a third row child seat, protecting occupants against a high speed rear impact, making it the safest place for a passenger in the event of a front, rear, or side impact. All in all, it was safe to say that the new king of on-road safety was the Tesla Model S. For three years, the luxury all-electric sedan enjoyed donning its crown and well deserved title, but now, a new king of automotive safety is in town – and it’s a Chevy. The Model S represented a brand new approach to in-vehicle safety back when it earned that impressive score in the summer of 2013. But in early 2017, the luxury sedan was dethroned by another American-made chevy car – the Chevy Volt. This time, the score came from the Insurance Institute for Highway Safety, another highly reputable crash testing organization in the United States. Performing similar tests and handing out similar scores, just as the National Highway Traffic Administration tests all major makes and models sold in the United States – so does the IIHS. These tests, which were conducted in early February of 2017, revealed that the Chevy Volt and Toyota Prius took out both the Tesla Model S and the all-electric BMW i3 for safest vehicle on the road. To calculate safety scores, the IIHS looks at a series of crash tests, including a small overlap frontal crash, side impact, a moderate overlap frontal crash, advanced crash protection, head restraints, roof strength, and headlights to determine safety scores in cars, trucks, and SUVs. The Top Safety Pick+ represents the highest honor from the safety experts, which was awarded to both the Chevy Volt and Toyota Prius Prime, meaning both cars excelled perfectly in all IIHS testing scenarios. The once golden child of on-board safety, the Tesla Model S, proved not as up to par as it had in the past. The luxury all-electric sedan offered a seat belt that was “problematic,” and a body, which was too heavy for the roof to handle in the event of a rollover crash. Both of these are obviously major issues, which the brand has promised to “fix” later in 2017. On the upside, the Tesla Model S offers a very low profile and center of gravity, making it difficult to flip over – but not at all impossible. The BMW i3, another all-electric luxury car, lost major points for seats with a lack of head support in a rear collision, which is the most common type of on-road accident. The Toyota Prius and the Chevy Volt both received rave reviews after running the gauntlet of safety tests; however, the latest Prius Prime does not test well in the consumer markets. The latest findings by the IIHS may change that, but it seems that for now – the Chevrolet Volt is both the reigning champion of safety, and customer satisfaction. “We proactively develop updates and aggressively implement changes onto the production line in record time any time there is a substantial benefit to customer safety. One of the improvements recently introduced in January 2017 specifically addresses the “Acceptable” (or second highest) rating that the Model S achieved in the small overlap frontal crash test, and we expect new tests to yield the highest possible rating (“Good” rating) in the crashworthiness category. It remains to be seen whether or not Tesla will update the Model S so that it retains its dignity. 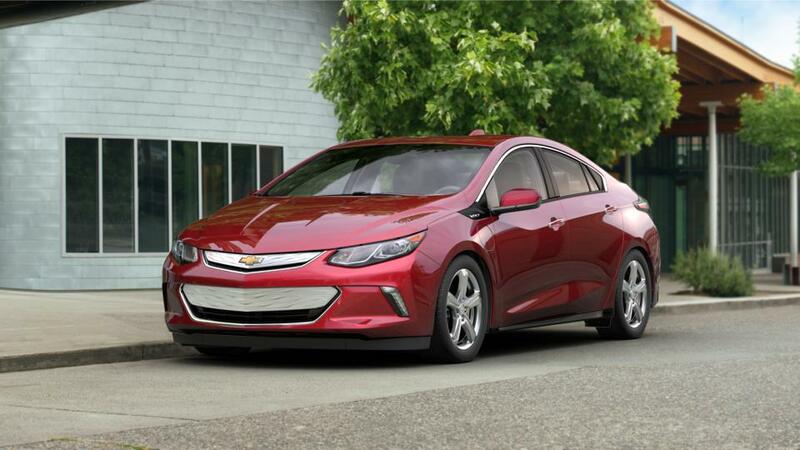 Until then, we will enjoy the high accolades that the Chevy Volt has so deservedly earned.